Are brand owners doing enough to help anti-counterfeiting efforts? Brand owners carefully monitor markets to ensure that counterfeits are not reaching consumers, but are they doing enough to ensure that they are not themselves being supplied with counterfeit versions of their products? Under the hammer: are trademark auctions bane or boon? With the country on the Office of the US Trade Representative’s Priority Watch List, a new bill has been introduced to strengthen the anti-counterfeiting options available to trademark owners. Will it prove a game changer? The International Trademark Association (INTA) has relaunched its website, introducing a refreshed mark accompanied by a new slogan, “Powerful network powerful brands”. The expected March 2011 launch of the new gTLD programme was in doubt as WTR went to press, with Peter Dengate Thrush, chair of the Internet Corporation for Assigned Names and Numbers (ICANN), acknowledging that approval of the final applicant guidebook could be delayed. Although the first-ever public trademark auction may have failed to spark a bidding frenzy on the day, WTR has discovered that big brand owners have been privately buying up the unsold marks for six-figure sums. In Russia, in order to file a trademark application, it is not necessary to submit material proving use of the mark or even intention to use. However, before filing a trademark application, certain general points should be taken into account in order to ensure that proper protection for the trademark is obtained. Applications for registration of words or logos may include multiple filing bases, including use, proposed use and use and registration abroad. If an application is filed based on proposed use, the applicant will ultimately need to file a declaration of use attesting to use of the mark in Canada before the application will proceed to registration. As the Chinese language is fundamentally different from Latin language, businesses planning to tackle the Chinese market must have a Chinese version of their trademarks. One question that must be dealt with before filing a trademark application is how to select the appropriate Chinese equivalent of the original trademark. Brand owners should note that the enforcement of rights before the Polish courts is more effective if a trademark owner enjoys protection under the national system. In the United Kingdom, trademark rights are protected in two ways – by statute through an action for trademark infringement and by common law by means of a ‘passing off’ action. In order to obtain statutory protection, a trademark must be registered. In the United States, practitioners should be wary of a host of issues before filing a trademark application. As a baseline, in order to anticipate and head off problems during prosecution, it is prudent initially to conduct a full trademark search. The Mexican Institute of Industrial Property can often be subjective in its interpretation of the law, making it crucial for applicants to approach the authority to discuss any areas of uncertainty. This can result in significant savings. The Italian Patent and Trademark Office can hardly count itself among the world’s most efficient industrial property offices. However, recent developments show that it is taking steps in the right direction. This is partly due to efforts made by the Italian legislature which, since 2005, has introduced a number of measures aimed at reorganising the IP system, particularly in regard to the trademark system. 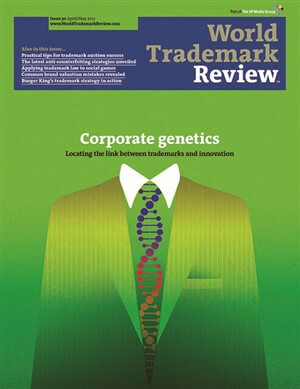 Applicants applying for trademark protection in Germany are likely to perceive the German Patent and Trademarks Office (GPTO) as an accessible institution which takes a reasonably cooperative approach to the registration process. For example, wherever possible, applicants will be informed of any objections that the GPTO may have at an early stage in the proceedings, so that they can clarify uncertainties or submit observations to defend the application.